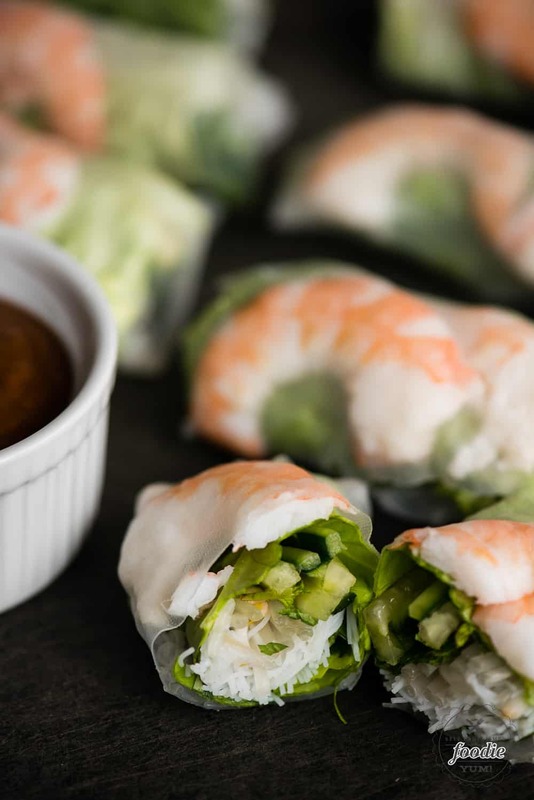 Summer Rolls, with poached shrimp, vermicelli noodles, fresh vegetables and herbs, wrapped up tightly in rice paper and served with homemade peanut sauce are downright delicious. They are actually very simple to make and are quite addicting. Impress your friends and family by making these tasty Summer Rolls! Shrimp Summer Rolls are the very thing that I could eat every single day. I really don’t think I’d get tired of them. Like ever. There’s just something so appealing to me about that chewy rice paper exterior. Once your teeth tear through the outside, you come face to face with tender shrimp, loads of fresh herbs and vegetables, and rice noodles. Ugh. Why do I decide to sit down and write this post when there are no shrimp summer rolls within reach? Pure torture, I tell you. I don’t make Asian cuisine often enough in my house. It happens to be my family’s favorite type of food. I think the only recipes I have that would even semi-qualify would be my Pork Fried Rice, Bok Choy Salad, Fresh Apricot Glazed Chicken, or my Spicy Peanut Asian Slaw. Just last week I finally bought myself an electric wok. I have an induction cooktop, so a wok pan doesn’t work because the heat won’t transfer up the sides of the pan. Now that I have my electric wok, you’d better believe more recipes Asian cuisine will be coming your way! Well, the possibilities are endless. A basic summer roll consists of protein (usually meat), vegetables, herbs, and some kind of carb (crispy wonton, rice noodles, etc. ), wrapped in lettuce and then wrapped in rice paper. 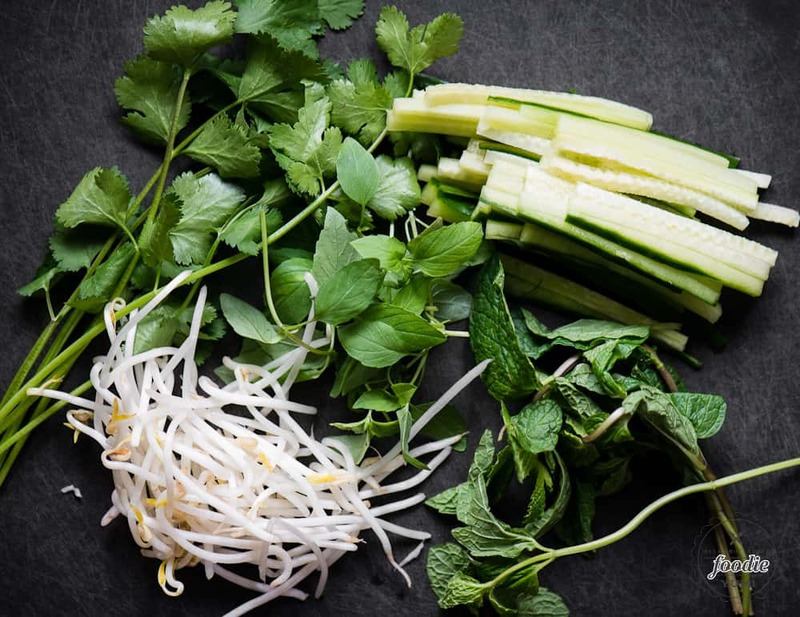 My version is a Vietnamese summer roll that is filled with cooked shrimp, fresh herbs and vegetables, and vermicelli noodles. 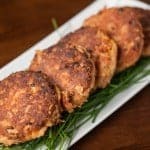 This version is light and healthy with just enough protein to keep you full and the right amount of carbs to give you instant energy. 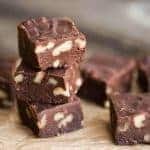 You can most certainly make these any way you prefer by swapping any of the ingredients out. Play around with the recipe and let me know what flavor combination you like best! What kind of sauce goes with summer rolls? You can easily buy peanut sauce at the store, but I made my own, and boy was it worth it. Here’s how that recipe came about. I was trying to make a homemade hoisin sauce. I ended up adding peanut butter to it and tweaking the amounts of some of the ingredients and BAM! I created a super delicious, completely by accident, version of peanut sauce! My friend, who makes summer rolls all the time for her family, told me to make peanut sauce by combining equal parts of peanut butter, hoisin sauce, and pineapple juice. I tried this combination the second time I made shrimp summer rolls and I much prefer my recipe. I highly recommend adding crushed peanuts to the top of your sauce as well. I just put some in a plastic bag and pounded them with my meat pounder until I got the consistency I was looking for. I chose to add julienne sliced cucumber and bean sprouts. Bean sprouts are actually not super easy to find in stores, at least in my neighborhood, because they go bad so quickly. I think thinly sliced carrots or peppers would be a nice addition as well, especially given the flavor, texture, and color they would add. You also need lettuce to wrap everything up before rolling in the rice paper. I chose to use butter lettuce because I found the most gorgeous living head of lettuce at the grocery store. Plus, I think butter lettuce is one of the best tasting lettuces out there. So tender. My friend, who happens to be Vietnamese and taught me how to make shrimp summer rolls, uses Romaine. I’ve now made them both ways and will tell you that you can use either lettuce and they will turn out perfectly delicious. Cilantro – This is an herb that you either love or you hate. I think it’s been scientifically proven that you can’t be neutral about your fondness for cilantro; its either one or the other. For me, if I’m eating Mexican, Thai or Vietnamese food, I have to have cilantro. Mint – If there’s one herb that’s essential in a shrimp summer roll, it has to be mint. There is no other herb that brings forth such vibrant freshness. Not only does it taste fantastic, but it compliments all of the other ingredients. On a side note – if you ever try to grow mint at home, be sure it’s in a pot, otherwise it will take over your entire garden. I swear, the secret to an everlasting light must lie in the DNA of the mint plant. Thai Basil – This is different than the standard basil you most often see at the grocery store. You know, the kind that goes into pesto. Thai basil leaves are smaller. The smell and taste of Thai basil also has an anise, licorice-like, flavor. Don’t worry – it’s subtle. There’s no one who hates black licorice more than me! Ensure you have all of your ingredients prepped. I like to use a large cutting board and have everything out in piles. Plan out how many summer rolls you’ll be making and visualize how much of each ingredient you’ll need. 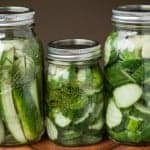 The goal is to not run out of any ingredients and not be left with any extra at the end. For as many rolls as you plan to make, ensure you have a good size piece of lettuce washed and ready to go. Pile your herbs, veggies, and vermicelli noodles on top of each piece of lettuce. Roll into a tight cylinder with the ends of the lettuce tucked in to fully wrap around the filling. Set on your cutting board seam side down. Place your shrimp on top of the rolled lettuce. To roll, soften your rice paper in a shallow dish of luke warm water. Get it just soft enough so that it’s pliable. It will continue to soften even after you take it out of the water, so don’t let it get overly soft, otherwise it will tear. Place your softened rice paper on a salad plate. I like to let the ends hang over the edge of the plate so they’re easy to grab. 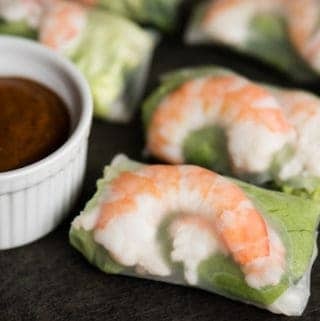 Place the lettuce roll and shrimp on the rice paper, shrimp side down. Wrap the bottom of the rice paper up over the top of the roll, tuck in the sides, and continue rolling until it’s sealed. 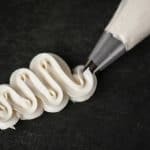 It takes a little practice to make them pretty and tightly rolled, but you’ll get the hang of it. Your rolls will stick to whatever surface you set them on, so I advise setting them on parchment paper until you’re ready to serve. What is the difference between a spring and summer roll? This one is pretty easy. A spring roll, at least the Vietnamese version, is deep fried and a summer roll is not. Spring roll wrappers are much more dense than rice paper. A summer roll is wrapped in fresh rice paper that you moisten in order to wrap and then it sticks to itself to seal. Some people love deep fried food, but I have a pretty low tolerance for it. Unless, of course, we’re talking about french fries. I can eat lots and lots of french fries. 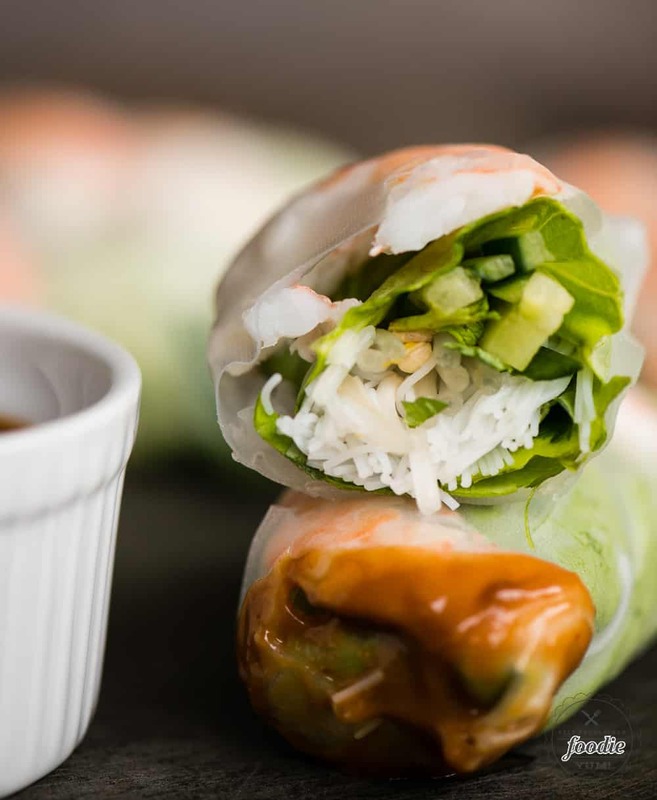 Summer Rolls, with poached shrimp, vermicelli noodles, fresh vegetables and herbs, wrapped up tightly in rice paper and served with homemade peanut sauce are downright delicious. They are actually very simple to make and are quite addicting. Impress your friends and family by making these tasty Summer Rolls! Assembly of these rolls is easy if you have all of the ingredients washed, cut, cooked, and ready to wrap ahead of time. If using pre-cooked shrimp, slice lengthwise. If using raw shrimp, cut lemon in half and squeeze into a pot of water. Add lemon halves and salt to water and bring to a boil. Boil shrimp for about 3 minutes until pink and slightly firm. Immediately transfer to bowl of ice water. Remove and discard shell and devein. Slice lengthwise. To cook vermicelli, cook in salted boiling water for 2-3 minutes. Drain and immediately rinse well with cold water. Store in bowl of cold water until ready to use. Place all of your lettuce on flat surface. Top with equal portions of bean sprouts, cucumber, herbs, and drained vermicelli rice noodles. Roll up and place seam side down. Top with two shrimp halves. Place a small plate in front of you. Dip each rice paper in a bowl of warm water. You want it to soften just enough so that it's pliable. It will continue to soften after you take it out of the water. Place it on the plate with the edges hanging off. Place the shrimp and the lettuce roll on the rice paper, shrimp side down. Take the edge closest to you and fold it over the lettuce roll, making it as tight as you can without it tearing. Fold the ends over to seal. Then take the final edge and roll it over towards you to seal the summer roll. Place wrapped rolls on parchment paper until ready to serve to avoid sticking.